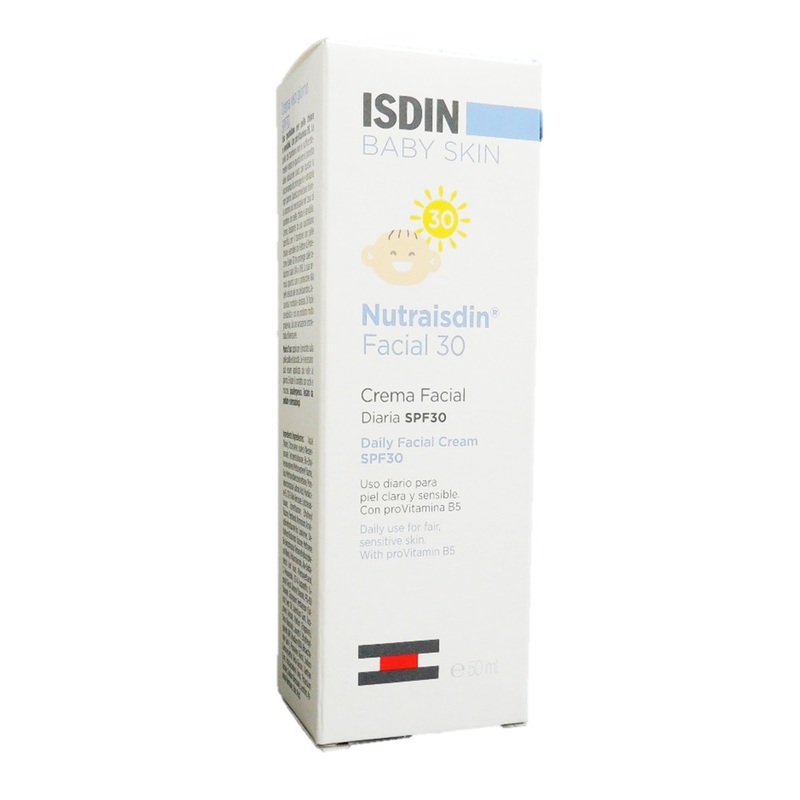 Isdin Nutraisdin Baby Skin Facial Cream SPF30 is especially indicated for the moisturizing and protecting baby’s fair and sensitive facial skin against the sun for daily use. Its formula provides the daily care and protection for the delicate skin of the baby’s face. Apply gently to dry, clean skin. Reapply if necessary.